Heavy duty monocoque body for extra strength. 4mm with heavy duty reinforcing ribs and 5mm reinforced floor. Adjustable flow control valves to alter the rate of discharge. Heavy duty drawbar with various height options. 1500mm wide back end which houses the purpose built gearbox and rotors. 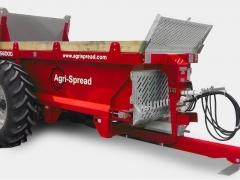 The hydraulically controlled variable speed floor is constructed from 16mm high tensile chain and 75mm channels. 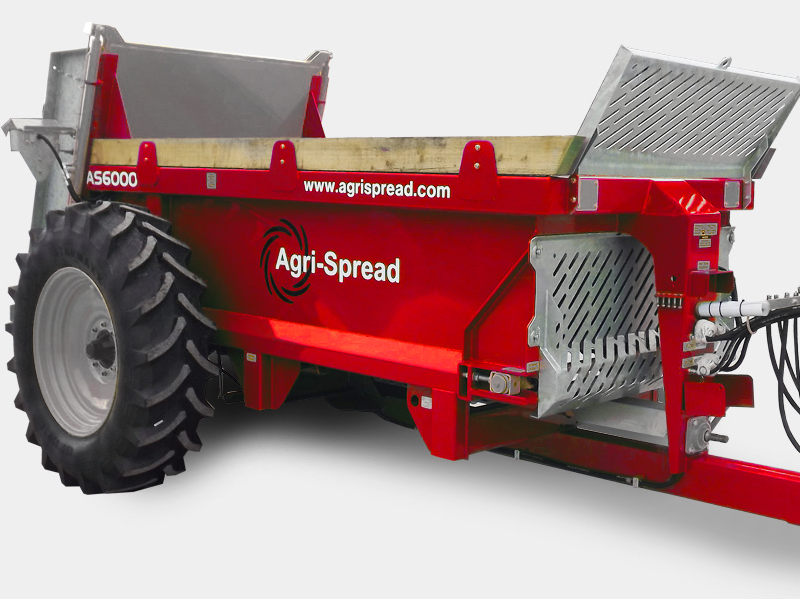 High Floatation tyres for broad load distribution to reduce soil compaction. 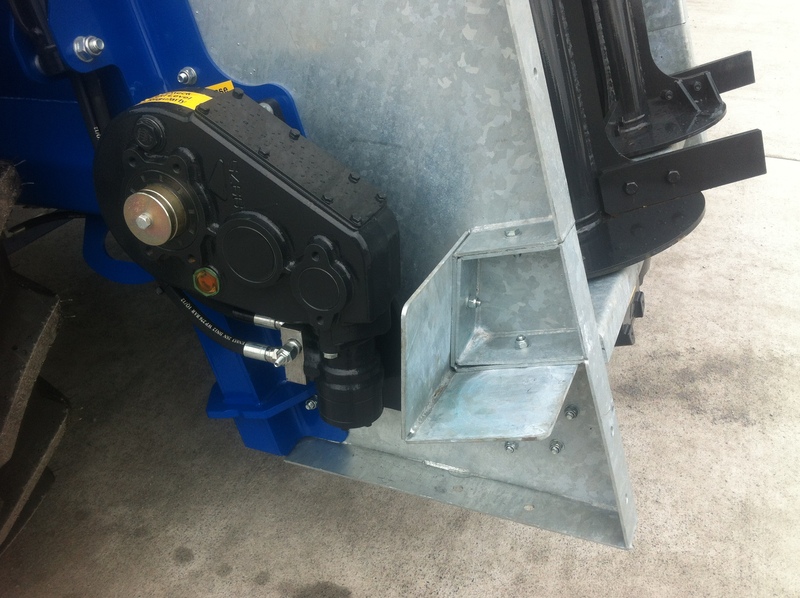 Hydraulic brakes are fitted as standard as is a parking brake and stand. Hydraulic back door fitted as standard – this helps metre the application rate. 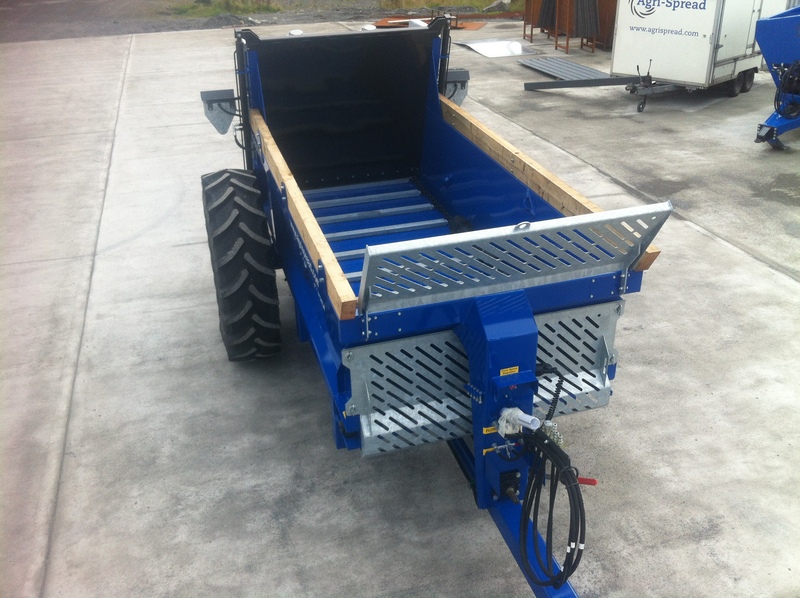 A solid timber hip rail fitted to prevent loading damage – on AS6000 and AS8000. 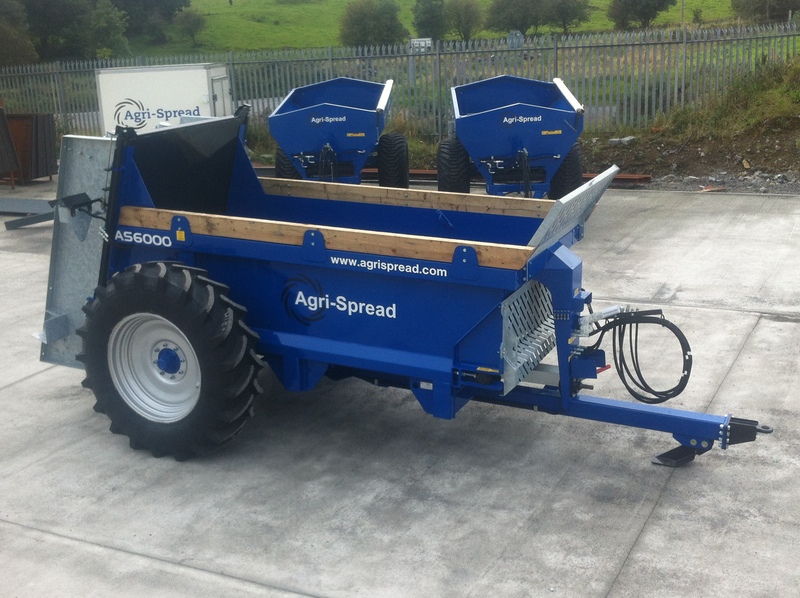 An anti-corrosive primer and two coats of paint are applied to all Spreaders to ensure a quality long lasting finish. Comerical axle in lieu of standard. Comerical axle in lieu of standard with air brakes. 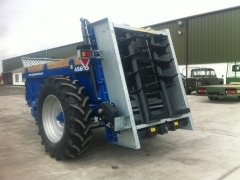 Comerical axle in lieu of standard with air & hyd brakes.